*Cover pencils by Jack Kirby, inks by Joe Sinnott. 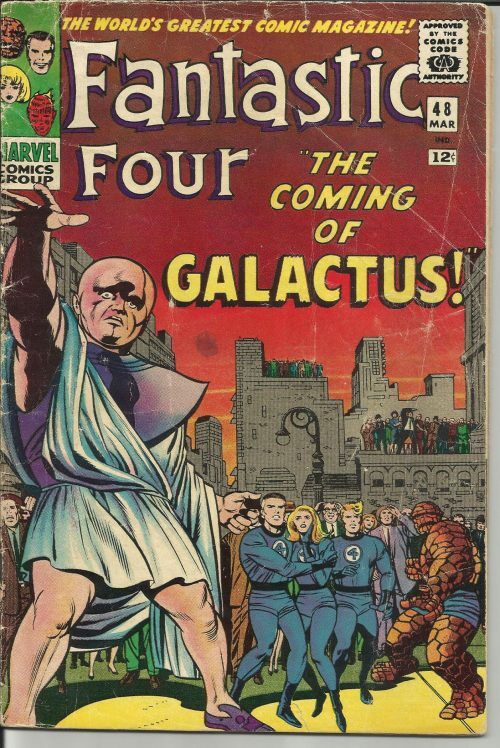 First appearance of Galactus and the Silver Surfer in one of the most famous stories of the Silver Age, The Coming of Galactus!, script by Stan Lee, pencils by Jack Kirby, inks by Joe Sinnott; Black Bolt and the Fantastic Four put an end to Maximus’s plan to destroy all the humans; Once the Fantastic Four return to New York the Watcher tells them of the coming danger of Galactus. Letter to the editor from comics writer Don McGregor.